The distinctive and beautifully designed Dovecraft steel dies are a must have for any die cut lover. The eight dies on offer will be fantastic to use on a range of projects for a variety of occasions! These value dies are compatible with most die cutting machines and will be sure to add a sweet touch to your cardmaking, papercraft, DIY projects and will work so well with your craft papers! 6 Winners will receive a collection of dies including an irresistible cupcake die, a birthday sentiment, elegant feathers, fluttering butterflies and more! What do you think of the projects we’ve already crafted? To enter, simply log in and press the button that reads, Enter this Competition! 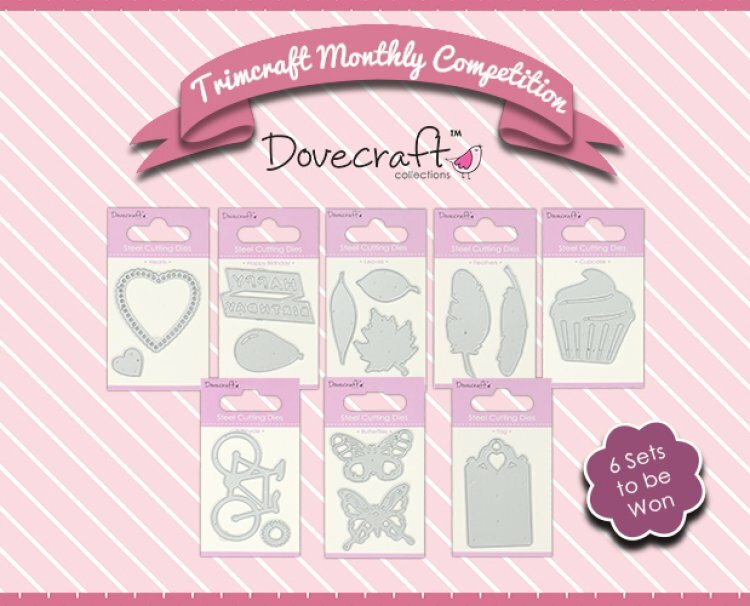 This giveaway will close on the 30th June so make sure you enter for a chance to win this fab collection, Good luck crafters!